Doha: Qatar conceded on Monday that “much more needs to be done” on the controversial issue of labour reform following fresh criticism of the 2022 World Cup hosts over the pace of change. A statement from the newly-established Qatar Government Communications Office also reaffirmed Doha’s commitment to scrapping the controversial “kafala” sponsorship system by the end of 2015. “Measurable progress has been made with regard to labour practices in Qatar, but much more needs to be done,” read the statement. Last week, fresh doubt was thrown on Qatar’s commitment to reform its much-criticised labour laws after the intervention of the consultative Shura Council. The council, which reviews legislation, said a draft law on “kafala”, which limits the rights of movement for foreign workers, could not yet be introduced and needed further examination. Monday’s statement however said that the prime minister, Shaikh Abdullah Bin Nasser Al Thani, met members of the Shura Council on Sunday and reform would go ahead. The council is Qatar’s supreme executive authority. Last week’s comments from the Shura Council prompted fresh criticism of Qatar — already under intense scrutiny over how it won the right to host the 2022 tournament, which is the subject of a Swiss corruption investigation — with claims that it was not committed to labour reform. 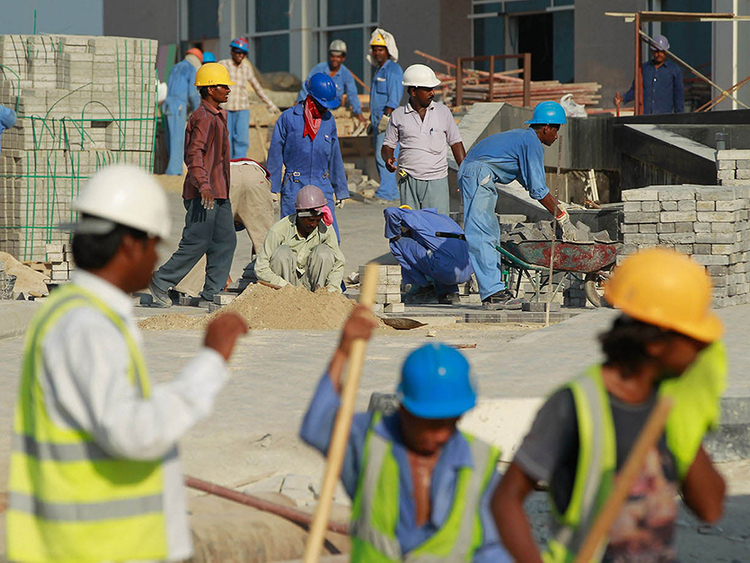 Doha said on Monday, however, that change would extend beyond “kafala”. This could include attempts to clampdown on recruitment agents who bring in workers from abroad to Qatar for relatively well-paid jobs, but charge them huge fees, Monday’s statement said. It also revealed that foreign workers in Qatar, currently estimated to number around 1.6 million, sent home $14 billion (Dh51 billion) last year.